In winter is when Spinach comes into its own. I am going, to be honest, I am hopeless at growing spinach in summer. But Growing Spinach in Winter is easy as long as you follow a few simple rules. You can be harvesting this tasty super vegetable throughout the winter months. In any season, spinach grows best when given rich, near-neutral soil enriched with composted manure or another nitrogen source. This is especially important when growing winter spinach, which will stay in the ground for up to seven months. We have found that spinach benefits from having its soil amended with a thick blanket of garden compost and a balanced organic fertiliser. 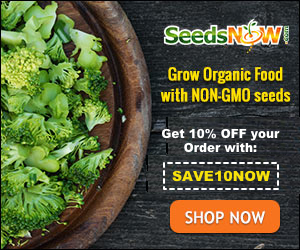 I get my seeds from Sutton Seeds in the UK and I am an affiliate of theirs – they have kindly offered a 10% off Voucher of all products, no minimum spend – valid for website purchases only to readers of Snapshot and Snippets. Great if you want to get your Christmas Present. Use the code JELFSUT10 when you order and Click the Link here to get your garden goodies. F1 Amazon – A fast-growing true type spinach which has attractive round, dark green foliage which is delicious as baby leaves. Perpetual Spinach – Excellent on dry soils where annual spinach would run to seed quickly. Hardy and useful for autumn and winter dishes. RHS Award of Garden Merit winner. Recommended by the National Institute of Agricultural Botany. Great beginner variety. Spinach can have germination issues in any season, but in my experience germination is better in autumn than in spring, probably due to warmer soil temperatures. Spinach for growing through winter is best planted a little later. We start them September so that the plants become established and have one light harvest of baby greens in late autumn. They go into a state of semi-dormancy through the dark days of winter. Then, as soon as days become longer February and March, the plants will produce harvest after harvest of sweet, tender leaves until the plants bolt in late spring. Several recent research projects have found that winter spinach grown in a low tunnel covered with garden fleece grows just as well as spinach grown in greenhouses or high tunnels. In addition to moderating temperatures, low tunnels shelter winter spinach from ice and snow and keep the leaves reasonably dry as well. We have spinach in a low-cold frame, under fleece and under a cold frame and all seem to be doing well. Because winter spinach stays so close to the ground, it is never cramped by the top of the frame. Ventilation is important because winter spinach growing in a low tunnel or cold frame can quickly overheat on sunny winter days. However, even with good weather, spinach and other cold-hardy greens will produce little new growth during the short days of December and January. Then, when days lengthen in February and March, the plants will produce excellent harvests of crisp leaves. Winter spinach commences vigorous new growth at a time when soil temperatures are so low that the availability of nitrogen is limited. To meet the plants’ nutritional needs it is important to provide a booster feeding with a water-soluble plant food as soon as new growth appears in late winter. In addition to preserving plant vigour, well-fed spinach plants produce larger leaves. By mid-spring, the combination of longer days, higher temperatures, and exhaustion cause winter spinach plants to grow tall and bolt, which earns them a place in my compost heap. By then I will have spring-sown replacements in progress that will keep me supplied with spinach until chard season starts in early summer. You can never have too much spinach!! Sign up for the Snapshot and Snippets weekly newsletter which this week included a Quick Spinach Gardening Guide and get lots of Handy Gardening Printables to help you start your own Vegetable garden. Wow, I must say that I envy you for being able to grow anything at all during winter, let alone spinach. Not exactly possible here in the Colorado Rockies. When I lived in Ireland (well, the technically the UK, we were in Belfast) I remember the winters being so different. My husband is of Irish descent but has never been to Ireland. We must visit soon.